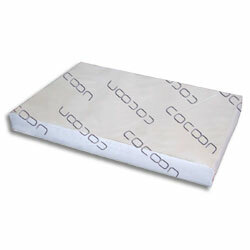 Cocoon Offset is a range of matching uncoated paper and board made from 100% genuine de-inked post consumer waste. The product has a superb high white shade rivalling the levels of many virgin fibre products and is FSC certified. Superb high white shade rivalling the levels of many virgin fibre products.